Rapidly tied knot to prepare meat for roasting or salting. 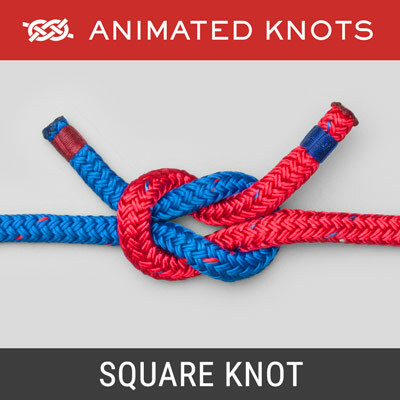 Pass the cord around the object, tie an overhand knot around the standing end, and pull tight. Form a loop around your fingers, slide the loop onto the short end, and pull both ends to tighten the knot. Finally trim the long end. Uses: The Butchers Knot (ABOK # 183, p 36) is commonly used to prepare meat for roasting. However, it is useful elsewhere, e.g., making the first loop around a package. 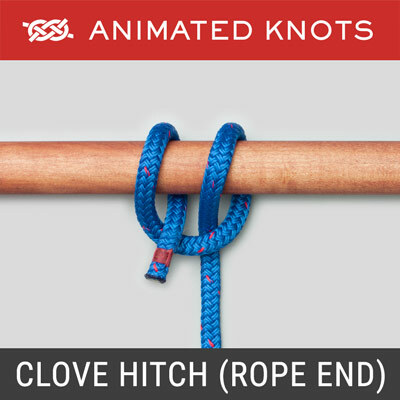 The initial knot creates a type of noose and, as shown in the animation, it does cinch down around an object. However, when free, it cannot slip completely undone because of the orientation of the Overhand Knot. 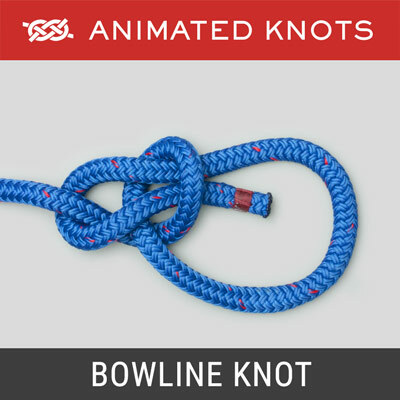 The knotted part of the working end functions as a crude sheave, or pulley, providing a two to one advantage which makes for very effective tightening. Variations: The version shown in the animation is reasonably secure and probably the one most commonly used. However, there are many variations. 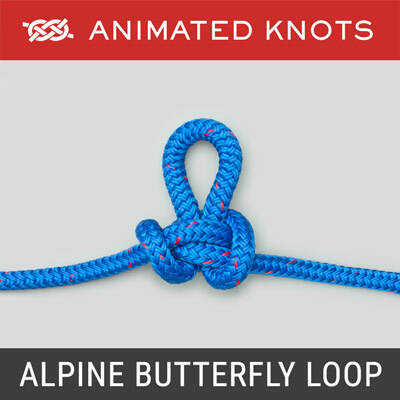 The initial loop can literally be formed using a Noose. 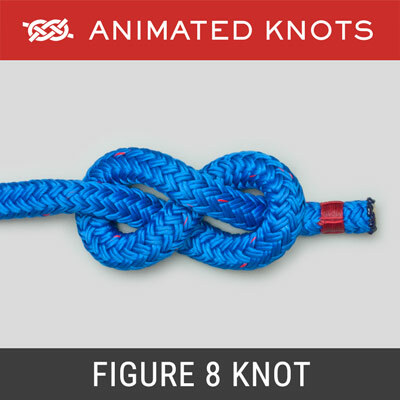 The Packer's Knot (ABOK # 187, p 37) is a more secure variation which employs a Figure 8 Knot around the standing end instead of the Overhand Knot. Ashley says "...it is the one generally tied by the more skillful butchers." The arrow shows the path taken by the end when the loop is finally placed. 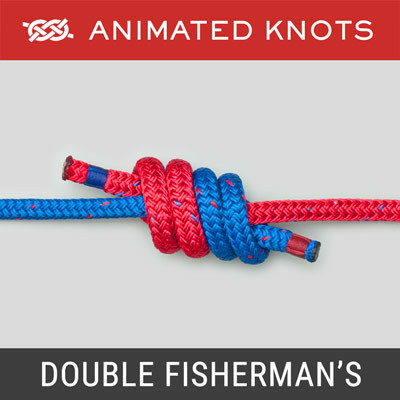 The Corned Beef Knot is even better (ABOK # 191, p 38): after Frame 3 the end would be tied back to itself using a Buntline Hitch, which is secure but allows the loop to be tightened until the final half hitch is completed (picture on right). Ashley writes that for the preparation of corned beef or salt pork: "It is probably the best knot for the purpose." This is because it can be tightened at intervals but holds well in between. The arrow shows the path taken by the end when the loop is finally placed. Advantages: The Butchers knot can be tied very quickly. Indeed, a professional butcher ties it so quickly that it is very difficult to observe the steps. It also wastes very little string because the knot can be tied while one end is still attached to the coil. Disadvantages: This knot is adequately secure for its intended purpose. However, when more reliability is needed, e.g., when wrapping a package for mailing, an initial Butcher's knot is followed by additional turns and completed with more half knots or half hitches.